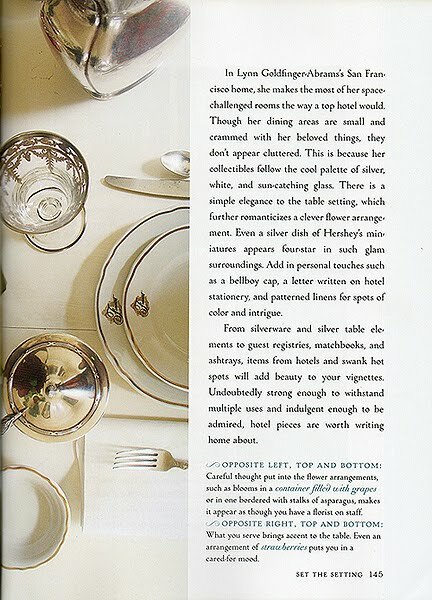 Boy was I excited to receive my copy of the recently released book, "The Vintage Table," by Jacqueline de Montravel and the editors of Romantic Homes Magazine. This book is a compilation of table and kitchen vignettes that are inspiring to say the least. 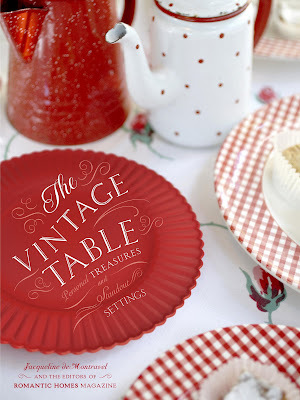 Everything from old & new, to crisp & clean, family heirlooms to time-worn treasures, are compiled in such a manner that make you want to start planning a tea or dinner party just so you can set your table! I'm humbled to be included in this book! 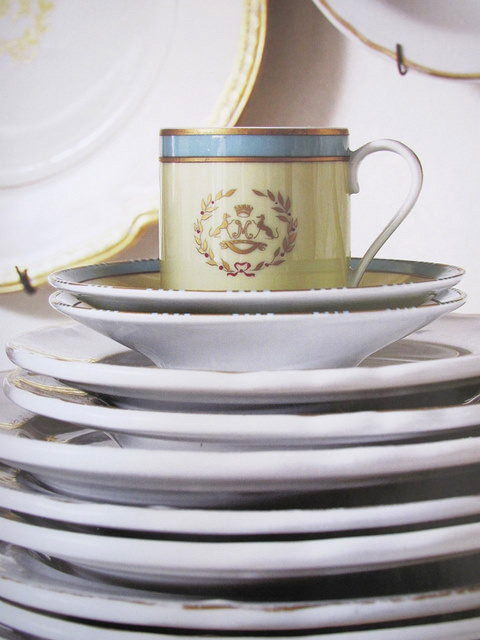 Better yet, to be alongside my friends Janet of FrenchBlue & Co., and Lucy Torres of My Paris Flea Market. And of course, the other amazing people with scrumptious homes and treasures! 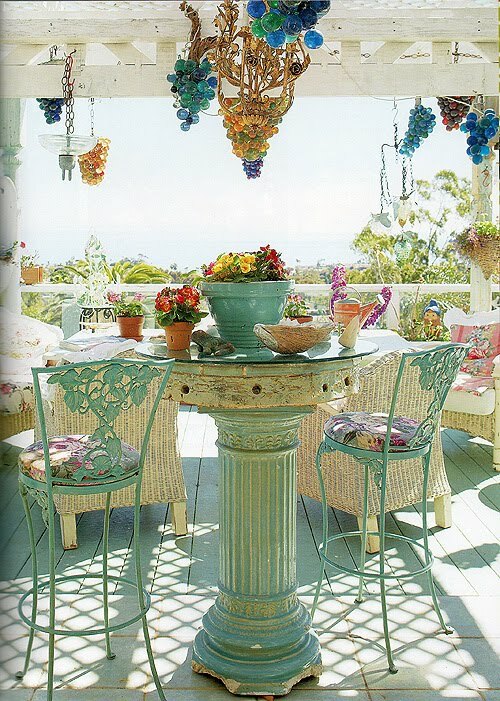 How beautiful is Lucy's deck which overlooks the ocean in Southern California? The colors so soothing...the hanging grapes...so whimsical! So, if you want to see the entire 224 pages of this book, you can purchase it here or here. 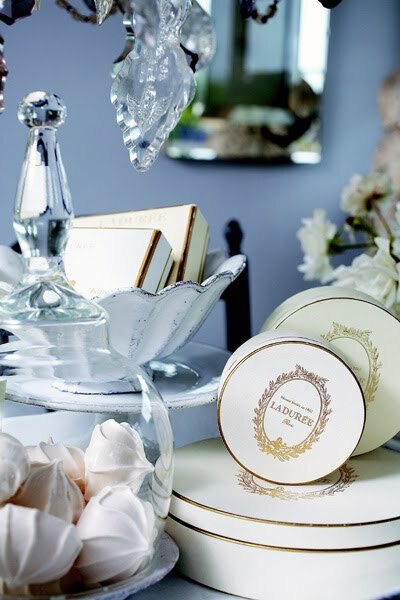 Believe me... the photos are exquisite, and there are some wonderful tips on entertaining. A BIG thank you to Jacqueline at Romantic Homes for coming here and patiently shooting my house! I'm going to buy it now!!! OMG this is just beyond gorgeous, I'm breathless! I'm going to get it too! WOW!!! Congratulations!!!! I have to get this book!! Fabulous post! hypnotized. such elegance. sparkly. wonderful. delightful. thank you. I didn't realize you were in this book too! Mine has been ordered and I can't wait to get my hands on it! I have just come across your blog and took the time to scroll down, especially the article about your professional life and blogging. Love it all! I'll definitely be back for more. In the meantime, congratulations on being included in this book, obviously deserved. 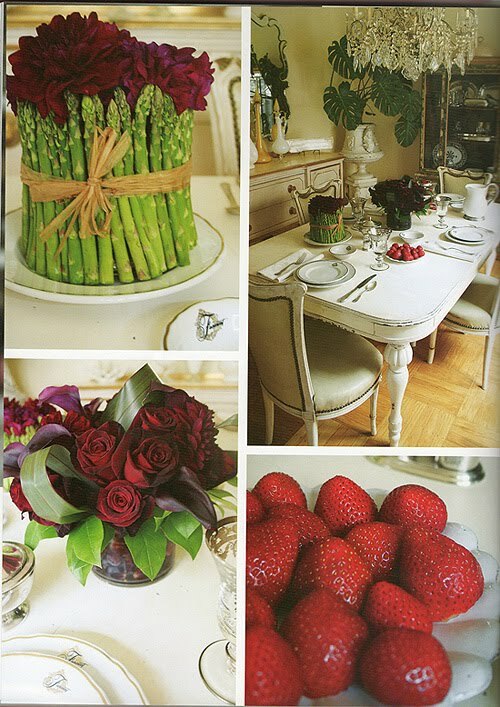 ADORE the first picture in the post and the asparagus and roses bouquet. I'll be using that one at my next dinner if you don't mind! wow! okay, now i'm going to buy this book. 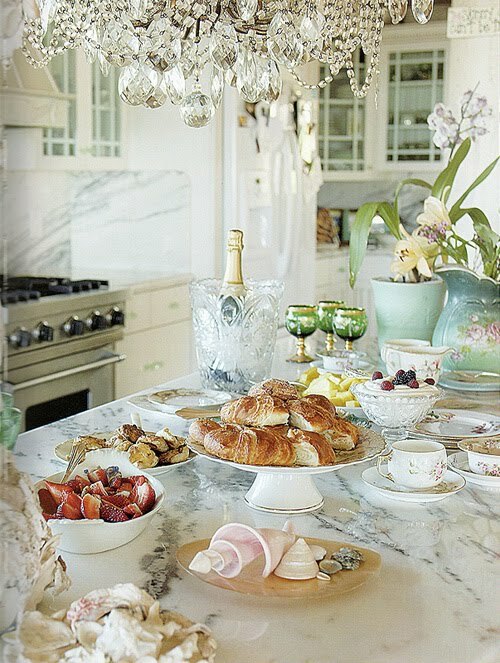 look at your gorgeouos dining room! and the way you did the flowers with the asparagus!! just wonderful!!! so cool! I now know you and Janet who are famous and in print ! How wonderful. I bet you feel really proud. It's funny because, as I scrolled down, I thought, I LOVE the white distressed table and then it said that it was your's !! It looks wonderful. This book was already on my "to buy list," but now that I have been given such a beautiful glimpse of it from you and Janet, I think that I am going to have to buy it very soon! Congratulations on having your beautiful dining room included! This book is the BEST because it has you and mom and lucy in it! I have been anxiously awaiting this book! I love what glimpses I have see of it so far. I am running out to get it asap. Congratulations!!! Your dining room table looks fantastic. I think you gals have the magic touch! Janets post had me drooling as well :) A huge Congrats to you! Congratulations!Delicious and inspiring pictures! !I will go to Smith and son in Paris, to see this book! Gorgeous photos!Definitely on my wish list! I just got the book. I thought I was the only one who saved pretty paper boxes (like the bakery ones mentioned in the book). They too reuse these & mix with more sublime objects. Good book w/good ideas.